Coyote, Lane, 61, passed away Friday, November 16, 2018. Lane was preceded in death by his parents, Jimmie and Pansy Coyote, and daughter, Crystal Louise Coyote. 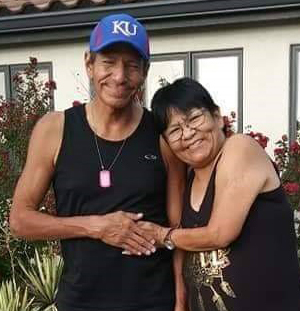 Survivors include his sister, Louise Coyote; nieces and nephews, Kleo L. Coyote, Katherine J. Coyote, and Nehemiah C. Shopteese; and cousin, Jackie Barnes. Memorial Service, 2 pm, Friday, December 7, at Broadway Mortuary, 1147 S. Broadway. Memorials to: The American Cancer Society. Share condolences at www.CozineMemorial.com. Services by Broadway Mortuary.